UKMG Extravaganza Blog Tour: An Interview With Julia Lee! You may have heard of the UKYA or UKMG extravaganzas – two massive events happening very soon with an unbelieveable amount of authors! 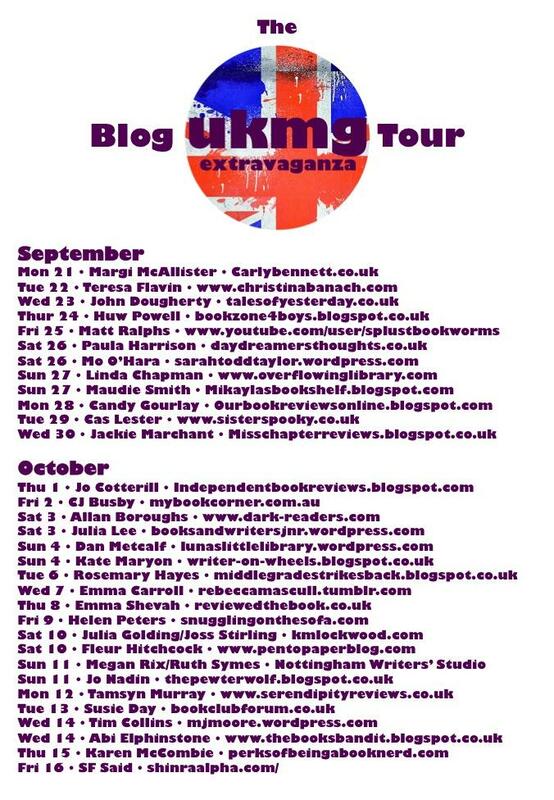 I’m so sad I can’t make it to either of them, as they’re too far up norf’ for me to get to, but I’m lucky enough to get the next best experience – I’m part of the UKMG Extravaganza’s blog tour! Julia Lee has been making up stories for as long as she can remember. 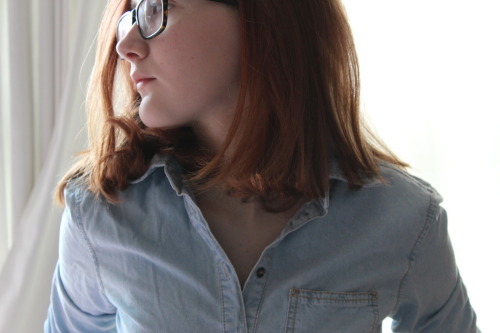 She grew up in London, studied English at university, and has an MA in Creative Writing. She has worked in education and for children’s charities. She lives at the seaside and writes at a transparent glass desk, not helped by a cat who chews the computer leads and adds lots of xxxxxs to whatever she is writing. 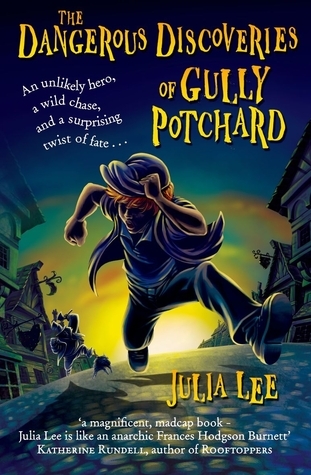 Julia writes mystery adventures for 9-12 year olds which have been described as ‘Dahl meets Dickens’ and ‘like an anarchic Frances Hodgson-Burnett’. 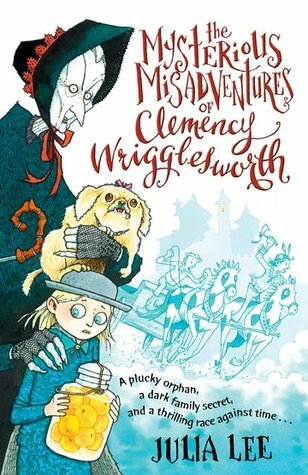 Her first book, The Mysterious Misadventures of Clemency Wrigglesworth, was shortlisted for a number of prizes including the 2014 Booktrust Best Book Awards. Her latest book features a hopeless housemaid-turned-detective. GW: Hi Julia! Can you tell us a bit about yourself and your books? JL: Hi Georgia! Thank you for being my host on the UKMG Extravaganza blog-tour. I write Middle Grade fiction – natch – but became a children’s writer almost by accident. I was stuck on a novel for grown-ups, so I did what lots of writers do when they’re feeling a bit down about a current piece of work: I had a look at some other stuff in my computer files to see if it was any good. I found a story I’d written purely for fun, when my kids were about the right age to read it – but I’d never had the courage to show it to them. (They’re a tough audience.) It galloped along with lots of cliff-hanging moments and questions to be solved, and made me laugh. And it became The Mysterious Misadventures of Clemency Wrigglesworth. That makes the process sound suspiciously easy, but it wasn’t! My books are adventure mysteries with a bit of comedy thrown in, oh, and lots of animals. The first two, Clemency Wrigglesworth, and The Dangerous Discoveries of Gully Potchard, are set in dark and dastardly Victorian times. They feature travelling theatre folk, rags and riches, nasty villains, wicked crimes and thrilling escapes. Now I’m working on a series set just after World War One. Its heroine, Nancy Parker, is a 14-year-old who dreams of being a detective – she reads lots of sixpenny crime thrillers – but on leaving school has to take the first job she can get, which is as a housemaid. And, strangely enough J, this lowly position is just the right place to spot a crime. Your next book, Nancy Parker’s Diary of Detection, is released in March 2016. What was your favourite thing about writing it, or your favourite part to write? Half the book is made up of Nancy’s diary entries. I haven’t written anything like this before and I had really good fun with her voice, and her writing style, including spelling mistakes and crossings-out. She draws jokey sketches, writes lists, and notes down anything that could be evidence. My editor, Liz Cross at OUP, encouraged me to go to town on this aspect. It was so exciting to see how the book’s designer and illustrator turned my fuzzy ideas into gorgeous reality. Do you want readers of Nancy Parker’s Diary of Detection to take away a particular message from it? It’s a fun book so it doesn’t have a deep message. But I have lightly scattered in some social history of the time: about girls and education, women and work, the sad after-effects of the War, but also the thrill of exciting new things like films, flying, and 1920s fashion – shorter skirts and bobbed hair! And my books always have a clash of cultures. Children from privileged and poorer backgrounds meet and find out some unexpected truths about each other and the world. So really that’s questioning the tired old stereotypes about people whose experience is far from yours. And I don’t think there should be ‘girls’ books’ and ‘boys’ books’. Books are for whoever wants to read them. I always try to create appealing lead characters of both sexes. They’re not incredibly brave or talented or clever – like most of us! So I have to come up with ways to make them ingenious, work out their own strengths, and get together to solve problems even if they make some nerve-shredding mistakes along the way. What do you love about middle grade fiction? The best ones take you on a roller-coaster of emotion and suspense but are so life-affirming. They help you to love and trust the good in fellow human beings (and animals!) The endings aren’t just a total happy cop-out; there can be quite a challenge there, but always the reassurance that good can triumph over bad. And they often make you laugh – not always out loud – but a sort of smiley ‘hrmmph’. A smiley hrmmph is a very good sign. Did any MG books inspire you to write in that age category? With my first children’s book I was writing just for me and had no clear idea what age-group it was aimed at. I left that up to my agent and the publishers. But always in the back of my mind were The Wolves Chronicles by Joan Aiken. Fantastic historical world-building and memorable characters. I tried to put some of their vibrant spirit and sprightly language into my fiction. Yes! I’ve just been given the go-ahead to write two more detective books featuring Nancy Parker. Plus I’m finishing a non-funny book set in the 18th century, based on a strange-but-true story. So watch this space. Erm – have you seen the rest of the amazing line-up of authors for UKMGX?? Can we start there? Also, shamefully, I’d never heard of the late Eva Ibbotson until a couple of years ago and now love her books – they’re in the classic children’s lit style. The one I’ve read most recently is The Star of Kazan. I love Eva Ibbotson! I haven’t read any of her books in ages, but I definitely recommend them too. Thanks for visiting the blog, Julia! Be sure to check out some of the other posts on the UKMG blog tour and spread some love. Here’s a handy schedule! If you’re interested about Julia Lee’s books and want to find out more, you can visit her at @julialeeauthor and http://www.julialeeauthor.wordpress.com! This entry was posted in Uncategorized on October 3, 2015 by keithbwalters.